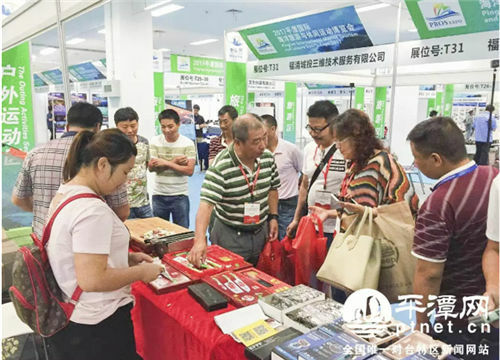 The event, jointly sponsored by the Island Research Center of the State Oceanic Administration, the Pingtan Comprehensive Pilot Zone administrative committee and the Fujian Provincial Department of Oceans and Fisheries, has been held for two consecutive years. Highlighting a dazzling array of high-end tourism products such as caravans, sports cars, log cabins and yachts, this year's expo drew in more than 15,000 visitors. It has also helped facilitate a host of new business and investment deals. Cooperation deals worth more than a combined 500 million yuan ($74 million) were signed over the course of the three-day event. The expo was divided into two pavilions, a China pavilion and a Pingtan pavilion, and three exhibition areas, namely, a marine tourism area, marine leisure sports area and VR experience area. The VR experience area, a new addition to the event, turned out to be a hit. More than 10 exhibitors from across the world displayed their state-of-the-art VR products and attracted large crowds of visitors eager to try out the mind-bending experiences. Additionally, 13 public service lectures centered on marine tourism and sports were also held on the sidelines of the event, serving as a move to promote related knowledge among the public. With the aim of promoting Pingtan's role in global marine tourism and coastal leisure sports, the expo is likely to give another impetus to the city's tourism development.